I read a hardback of this book that I bought in Disneyland California. Now, for the first time, we’ll examine the life of the Wicked Queen and find out just what it is that makes her so nasty. Here’s a hint: the creepy-looking man in the magic mirror is not just some random spooky visage-and he just “might” have something to do with the Queen’s wicked ways! Fairest of All had the real feel of a classic fairy tale. It was written beautifully in a way that resembles what I remember enjoying very much as a child and it brought me back to that. The story flowed so beautiful and was a joy to read. I love backstories to well known tales, and especially the ones that focuses around villains. They usually have very interesting stories to tell. They are rarely born evil and in this case there was so much to The Queen and I loved her as a character even when she turned to her wicked ways. To see Snow White from a different perspective as well was very interesting and enjoyable. I loved her as much as a character in this story as I did watching the movies as a little girl. 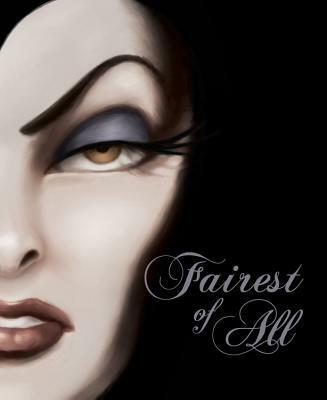 Fairest of All had a very interesting plot line that I loved from beginning till end. Her story and her life was such an amazing story deserving of its own story to be told. I flew through this book as it was very eventful and exciting even though I kind of knew how the story goes. If you love classic fairy tales than this is definitely a story I think you will enjoy. The perfect fairytale feel and a very interesting story that shows how easily the good can turn to evil.